The KIVU Gap Year is a post High School program to alleviate the pressure of University Freshman to a.) choose a major at 18 years old b.) continue developing a comprehensive worldview and c.) to help give students real life experience before they enter the most important early years of life. The Europeans have been doing Gap Year for ages, and some serve students to explore the world. The Asians have started doing the Gap year to help solve the growing up time. But be careful as you decide what program to engage with. NOT ALL GAP YEARS ARE THE SAME. They may have the concept of taking off a year between high school and college, but I've found several programs that are simply just not helping the problem. 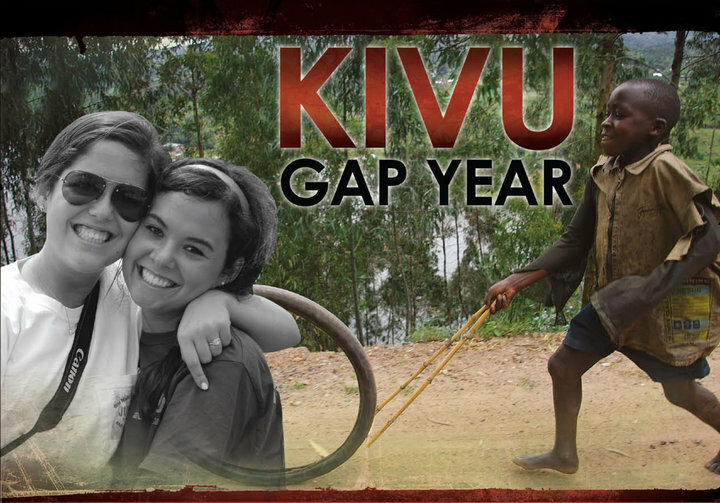 The KIVU Gap Year is 'First in Class.' The students start with a first semester in Denver Colorado working with a well established ministry call The Mile High Ministries. They get a chance to see the real world while taking classes with one of the premiere Urban Programs in the country. They live in community together, and spend time exploring the way God works in the world of restoration. They're going to leave Jan. 2nd to head to Rwanda, where they will intern with politicians, social experts, ministry leaders, and health officials in an emerging African Nation. Rwanda is a beautiful picture of an African country re-creating the way Africans do business, ministry, and life all together. They'll climb Kilimanjaro, explore the Mountain Gorillas, and then…. They'll fly to the Philippines. We have some wonderful friends in the Philippines working with the International Care Ministries of the Philippines helping to care for the world's poorest of the poor. After it's all over, they'll have college credit, experiences to shape their early formative years, and they'll develop a 'Life Thesis' to identify the gifts God gave them to go forward in life. We've done extensive research with the gap between high school and college, and we've found a lot of programs attempting to answer the question. To be honest, my feeling is, the more the merrier. We have a big job to help students transition to the University, but if the program isn't answering fundamental questions about development; you're wasting your money. We've found that students exposed to the realities of life are becoming far more able to see down the road of education and the purpose the University can afford them to TRULY MAKE A DIFFERENCE IN THE WORLD. If you look at a gap year, make sure..
You're picking the wrong one. Relationships can't be limited to a mile wide and an inch deep to facilitate real growth. Students need to be put in situations to stretch in order to grow. A comfortable year off does nothing but kick the can down the road, so to speak. Those programs don't help to develop, they only serves to fill another hole with false assumptions and poor fundamentals. So, while you're home for the holidays…if you or someone you love is getting ready to graduate in the spring…be sure to head on over to The KIVU Gap Year and check out some of the stories we've accumulated this semester. You'd be surprised to see these mature 18 year olds really engaging in the fullness of the gifts God created within them. We're taking applications now, and we'd love to have you as a part of our 2011-12 class. Previous School’s Out, Winter’s In, and I’m dreaming of … SUMMER!